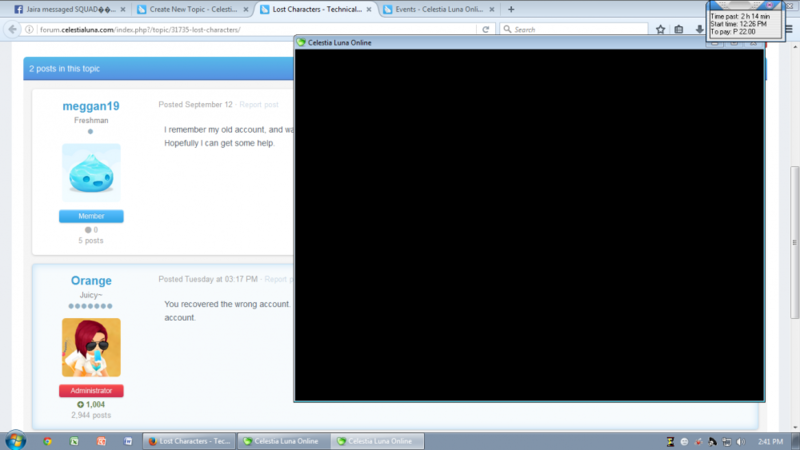 I could able to open my account but I cant respawn to my located place. What character is it and what map? Did you remove all items from that character? Because you removed all items your char won't be fixed until tomorrow, removing all items gets characters stuck. There must be a language barrier here. I said that your character will be fixed tomorrow. why does my account still didn't respawning ? it's been 1+ day and hours already..
That character was banned in 2015 and there is no trade to McMorrow from any char that contains "mage" in its name. Sad to say that Megamagefix acc is given to me by someone previous years ago .. Idk that Megamagefix acc is banned but I have sold it gears to gold and I bought gears to my McMorrow acc like Grim set/bloodstained and more..
Oh so that is the account? I need a character name, not the account name, what I searched was a character named "Megamagefix". The character name and the account name is the same ..
Why is it my Character Megamagefix still ain't respawning ? it shows blackhole .. its been a days for "Tomorrow"
Because that's not your character name, that's your account name, and it is different. None of the characters on that account has that name.